For the better part of three years, Target has offered a standalone app — Cartwheel — that provides customers with discounts on certain products. While shoppers have always been able to combine actual coupons with this discount, the retailer is now aiming to make the process easier, by adding digital manufacturer coupons to the Cartwheel app. Target announced on Monday that it is testing a new feature that allows shoppers to combine Cartwheel’s percentage-off deals with actual dollar-off amounts from virtual coupons, all within the app. 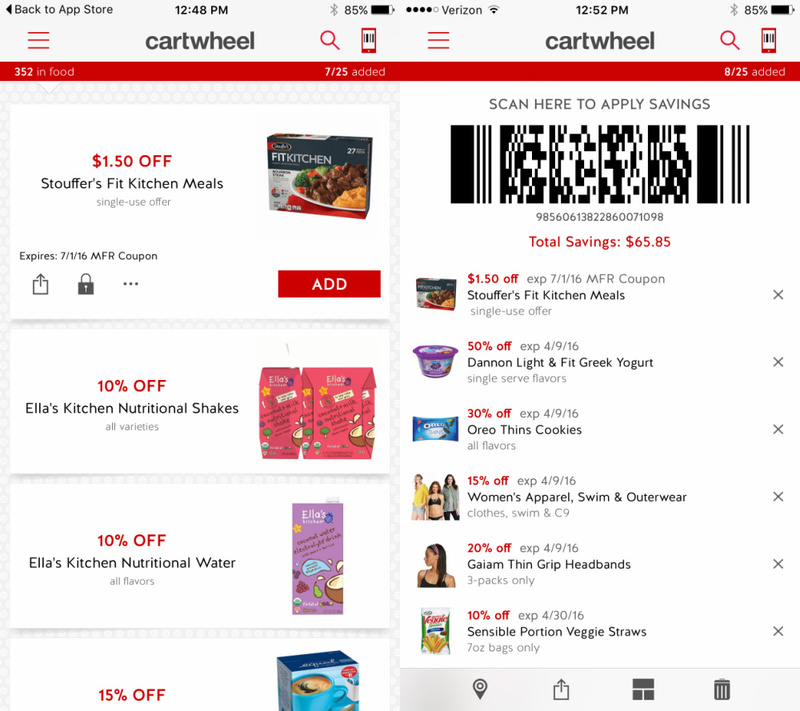 So far, the app features about 40 digital coupons — depending on where a shopper lives — showcased right alongside Cartwheel’s typical deals. The coupons can generally be identified by a dollar-off amount, rather than the the percentage discount that Cartwheel is known for. They also typically have a longer use period – several months, compared to the average weeklong savings of a Cartwheel deal. Users simply click on the single-use coupon to add it to their Cartwheel barcode. As with the traditional Cartwheel app, the barcode is scanned at the register and the discounts deducted from the purchase. By adding digital coupons to the Cartwheel app, shoppers can increase the amount they save during a shopping trip since coupons generally provide larger savings — $0.50 to sometimes $2 off products — than the app, which typically offers savings of 5% to 15%. The new feature is a partnership between the retailer and a third-party provider of digital coupons, TechCrunch reports, noting that the app will be integrated with a coupon database as opposed to Target working with actual product manufacturers.